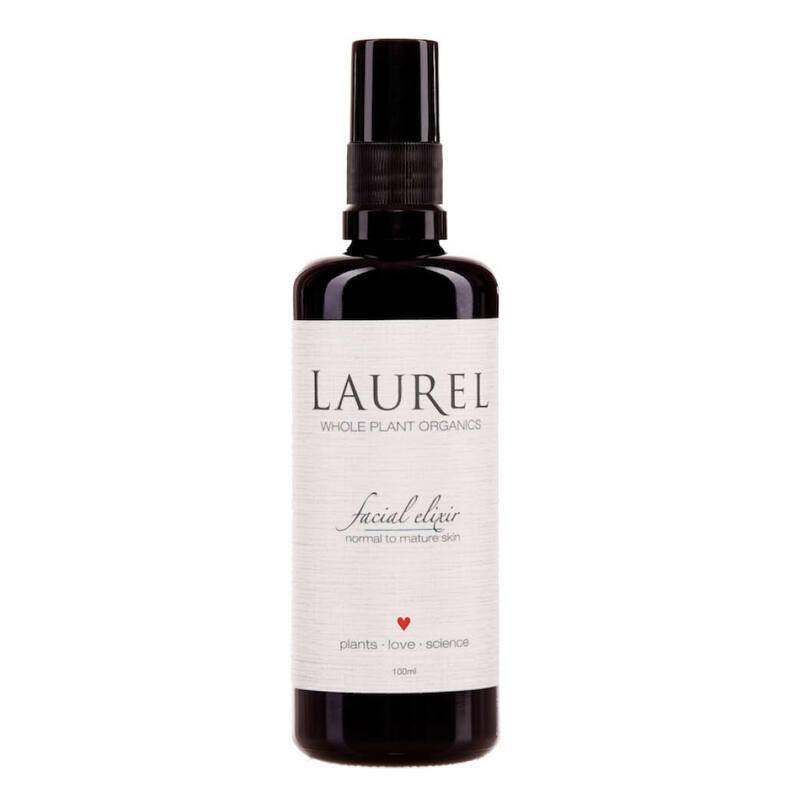 The nutrient dense Normal/Mature Facial Elixir by Laurel Whole Plant Organics gives skin a nourishing and refreshing feel. An organic blend of ingredients helps to tone down signs of inflammation, while offering a feel of healthy moisture for a youthful appearance. With potent botanicals of lemon balm, chamomile, helichrysum, and frankincense, your skin will look balanced and restored. In addition, rose hydrosols offer feelings of maximum all day hydration. Mature and dry skin types will also benefit from the inclusion of therapeutic grade essential oils, such as rose geranium, sandalwood and carrot seed, that provide a tightened, toned, and healed quality. Shake skin elixir well and mist directly onto skin after cleansing. This can also be used throughout the day as a refreshing mist. I love all of Laurel's range - I've tried the body oil, sun damage repair serum, and facial elixir so far. I find her range incredibly hydrating without being greasy. Enchanting smell too. Total winner.